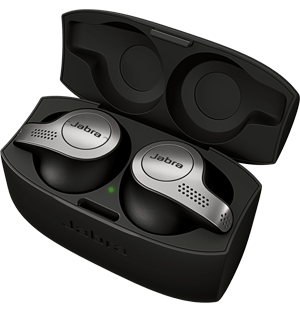 The prime choice for comfortable, crisp sound when listening to music or taking calls, Jabra’s over-the-head headphones build on the classic over-the-head design, providing quality hi-fi sound that cancels out background noise, and durable construction that can deal with the rigours of everyday use. Perfect for business users, the Jabra over-the-head range will help improve productivity, with models providing intuitive features such as intelligent call transfer between PC and smartphone and busy lights to let colleagues know you’re on a call. There’s also cutting-edge software, including HD Voice to improve vocal clarity, and Air Shock, that eliminates respiratory noise being picked up by the microphone. For music, it’s a similar story, with Jabra listeners benefitting from massive Dolby stereo sound that makes sure every note sounds its best. 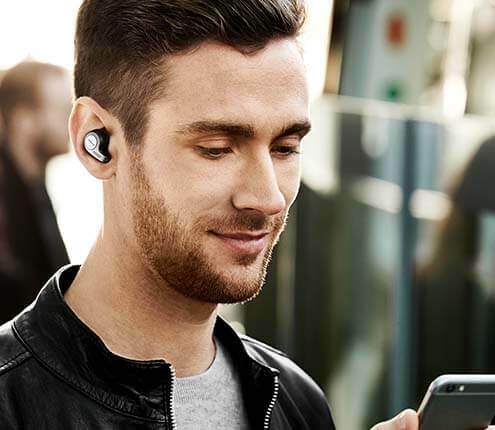 Add to this the Jabra Sound app that lets you adjust equaliser levels and share music, and a rigorous testing regime that ensures that each headset is able to withstand whatever life throws at it. Choosing a wireless headset, you can enjoy a long battery life and a design that keeps the headphones on your head all day without compromising comfort, or a classic wired headphone that doesn’t lose connection down the line. Whatever you or your business’ budget, there’s a Jabra over-the-head headphone model to match. Explore the range today.